The universe is getting bigger every day! Paradox Development Studio is bringing the grand strategy genre to consoles for the first time ever with Stellaris: Console Edition. Featuring the same deep strategic gameplay, rich and diverse alien races and emergent storytelling, Stellaris: Console Edition puts the complexity of the galaxy at your thumbsticks. Whether you’re exploring the unknown, discovering the mysteries of the universe, or conquering it for the glory of your empire, console players have more inter-galactic strategy awaiting them than ever before. The universe has arrived at your consoles, it’s up to you what to do with it. 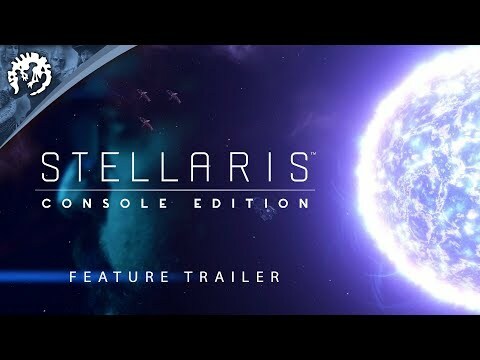 Stellaris: Console Edition was released on PS4 53d ago in the US and the UK. Based on 1 Stellaris: Console Edition PS4 review, Stellaris: Console Edition gets an average PS4 review score of 74. The score for all versions is 74 based on a total of 1 review.